WARNINGUse only official Kali Linux repositories. Any other listed 3rd-party and unofficial repositories within the /etc/apt/sources.list file may break or compromise your Kali Linux system. All done. Your Kali Linux system is now fully upgraded. 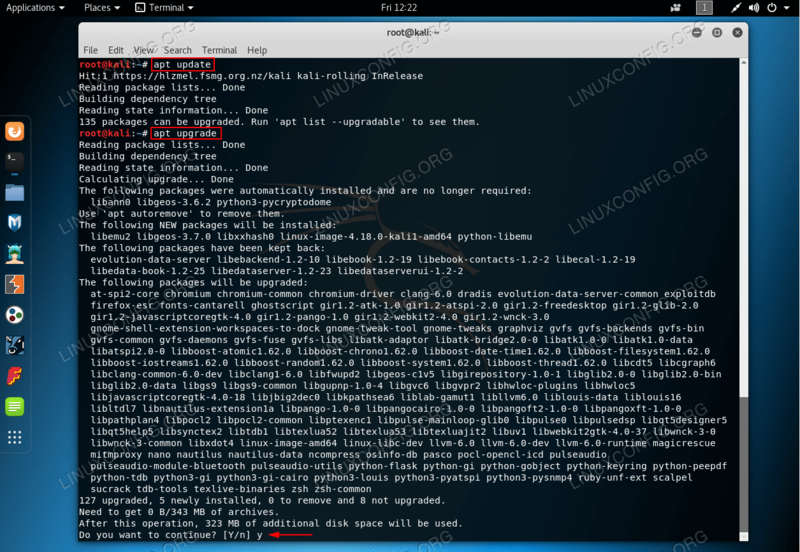 Due to package dependency changes some of the Kali Linux packages might be kept back.